In exploring the frontiers of health communication scholarship, the section is committed to offering a platform for new and cutting edge scholarship that pursues closely the interplay of the theoretical with the applied. Globally, communication has emerged as the centerpiece of human health and wellbeing, broadly constituting the contours of health information; interactions in a plethora of health settings; interactions across cultural differences; support in multiple contexts and in a variety of relationships; organization of health services, prevention, and a range of related health resources; health communication campaigns; community-based health initiatives; cultural codes of health and wellbeing; mediated discourses of health; policy communication; and health advocacy and activism. Particularly salient globally are the large scale inequalities in health outcomes and access to a variety of health resources, the health risks tied to various forms of migrations across global boundaries, the health consequences of wars and other forms of violence, the health threats that are constituted by chronic diseases, the global trajectories of chronic diseases amid the large scale privatization of health, the risks of infectious diseases amid global flows of capital and labor across nation states, rise in global health activism directed at securing access to basic health, and the role of communication technologies as tools for addressing health challenges. The Health Communication section is envisioned with the goal of nurturing and opening up spaces for difference that challenge existing conceptual categories and simultaneously opens up opportunities for new theory building based on engagement with evidence. In exploring the frontiers of health communication scholarship, the section is committed to offering a platform for new and cutting edge scholarship that pursues closely the interplay of the theoretical with the applied. Moreover, noting the vast inequalities in the politics of knowledge production, the section is committed to fostering spaces for health communication research being carried out in the global South. We welcome theoretical, applied, and evidence-based studies of health communication from a wide array of meta-theoretical commitments. Health Communication welcomes submissions of the following article types: Book Review, Brief Research Report, Conceptual Analysis, Correction, Editorial, General Commentary, Hypothesis and Theory, Mini Review, Opinion, Original Research, Perspective, Policy and Practice Reviews, Policy Brief, Review and Specialty Grand Challenge. All manuscripts must be submitted directly to the section Health Communication, where they are peer-reviewed by the Associate and Review Editors of the specialty section. Articles published in the section Health Communication will benefit from the Frontiers impact and tiering system after online publication. 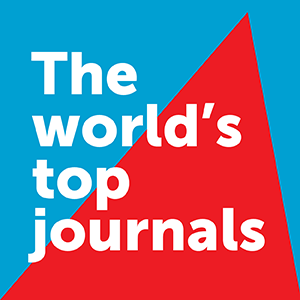 Authors of published original research with the highest impact, as judged democratically by the readers, will be invited by the Chief Editor to write a Frontiers Focused Review - a tier-climbing article. This is referred to as "democratic tiering". The author selection is based on article impact analytics of original research published in all Frontiers specialty journals and sections. Focused Reviews are centered on the original discovery, place it into a broader context, and aim to address the wider community across all of Communication.